Update: Added a Trout Worm section to the article that may prove useful when fishing for Rainbow Trout. The same directions for making a Tenko Worm are used for making an unscented Trout Worm! Tenko Fishing combines Tenkara rods with small hand poured plastic worms modeled after Gary Yamamoto's Senko Worm to create a Tenko Worm, which can also do double duty as an unscented Trout Worm! For more information about making your own small hand poured plastic worms for your Tenkara Rod (as well as your Ultralight Spinning Rod), check out the information below! Tenko Fishing started when a member of the City of Allen Fishing (COAF) Field Team decided to combine Tenkara Rods and small hand poured plastic worms modeled after Gary Yamamoto's Senko Worm. 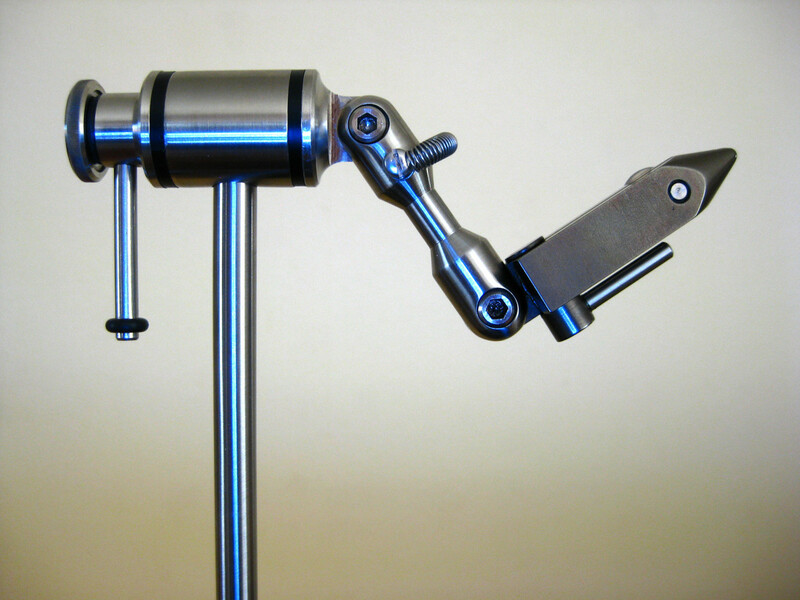 After fishing with the Tenkara Rod during the 2010-2011 Trout Stocking Season and then later in the Spring for Bass, the Field Team had put away their Tenkara Rods and switched to Baitcasting Gear. 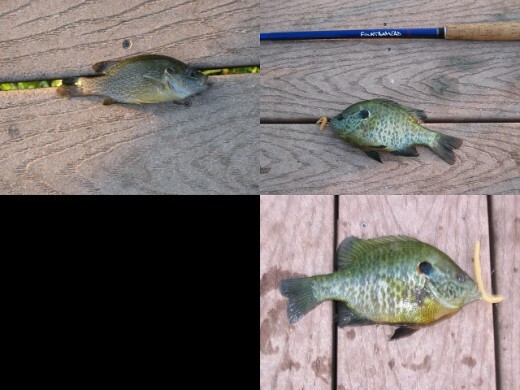 Not wanting to let his Tenkara Rod sit in the corner gathering dust, one Field Team member decided to use it to fish for little Bass and Panfish in the local community lakes and ponds. 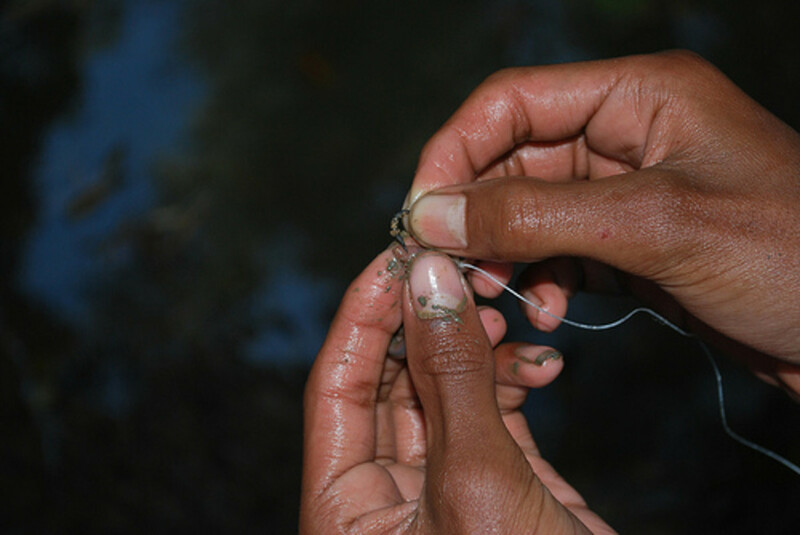 Since Senko Worms will overpower a Tenkara Rod, he decided to hand pour a few plastic worms and see if the fish would bite. After a little trial and error, two prototypes were made, field tested, and success... Tenko Fishing! Success Tenko Fishing with hand poured plastic worms. 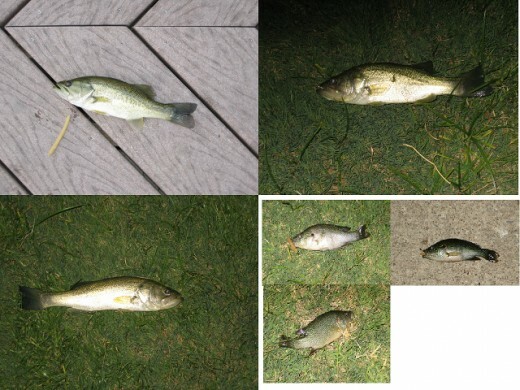 Picture to the right is a little Bass caught on one of the two prototype Tenko Worms! Caught it on a wacky rigged Tenko Worm drifted enticingly in the current! 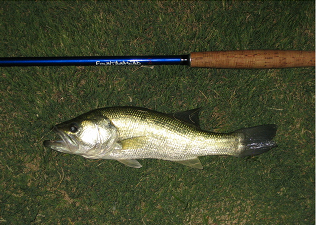 To get started Tenko Fishing, you will need a Tenkara Rod. A Google search online using the keyword "Tenkara Rods" will get you pointed in the right direction. 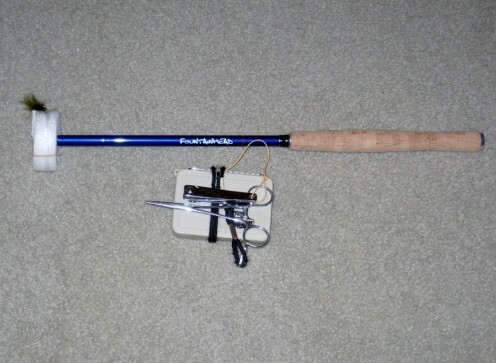 Of online retailers, two of note are Tenkara USA and Tenkara Fly Fishing (Fountainhead). Both offer Tenkara Rods imported from Japan. 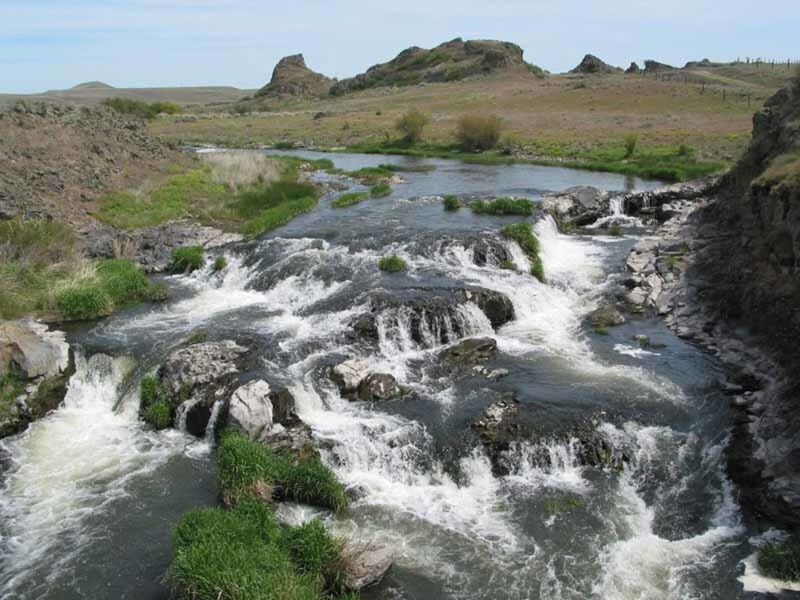 Note: The Fountainhead 11.5' Caddis Rod is the one used by the COAF FIeld Team. Next, a furled line is strongly recommended. You can use a stiff monofilament for line but a furled line provides for a light cast that does not spook the fish lurking nearby. Picture in the sidebar illustrates the "minimalist" approach to Tenkara Fishing! Add hooks, tippet, and a container to hold your Tenko Worms, you are almost ready to go Tenko Fishing... that is, you need Tenko Worms. Almost there... just need Tenko Worms. 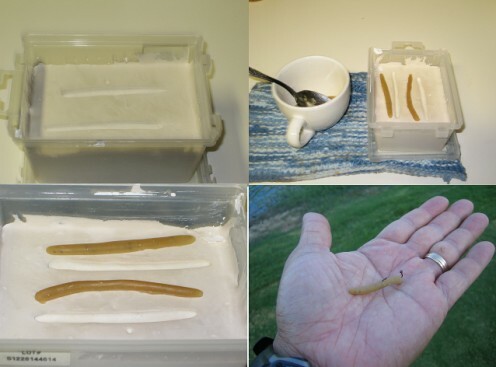 Since Tenko Worms are not available in stores, you will need to pour your own or contact the COAF Field Team (coaf.weblog@live.com) for a few samples of our prototype. Shape the Silly Putty into a 2"-3" size "Senko-shaped" worm. Next, mix the Plaster of Paris and Water per the direction on the box. Pour the Mix into the plastic container, and let it set for about a minute. Next, place the "Senko-shaped" worm on to the Mix and then push it about half-way into the Mix to make a depression. Let the Mix cure overnight, and then remove the "Senko-shaped" worm from the mold. At this point, you should have a mold that you can hand pour melted plastic worms to make Tenko Worms. Place the old plastic worms you no longer want in a microwave safe container. Next, melt them in a microwave. Depending on your microwave, the worms should melt to the right consistency in less than a minute and a half. As a rule, try 30 second increments when melting them for the first time. Once the melted plastic is the consistency of syrup, you can pour the melted plastic into the Mold you made. After a couple of minutes, you should be able to remove the Tenko Worm from the Mold. Note: You may also need to trim excess material using a scissor. Remember the melted plastic is hot! 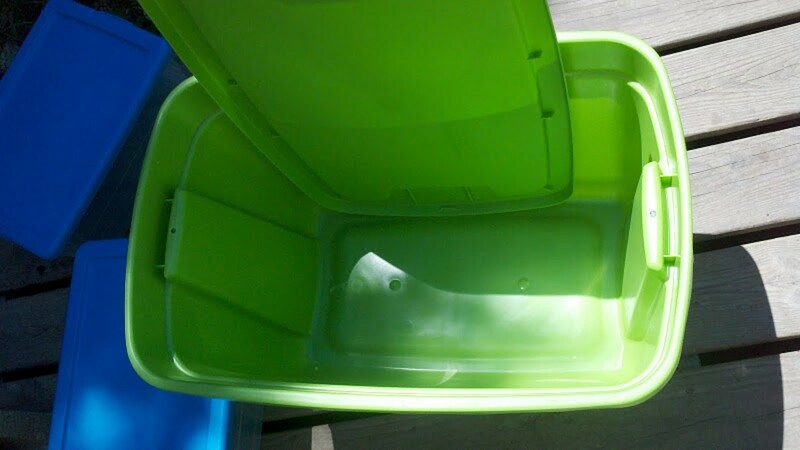 Be sure to take proper safety measures when handling the melted plastic and the containers used to melt them. Protect eyes and skin against burns and splatter of material . With Tenkara Gear and Tenko Worms in hand, let's go Tenko Fishing! 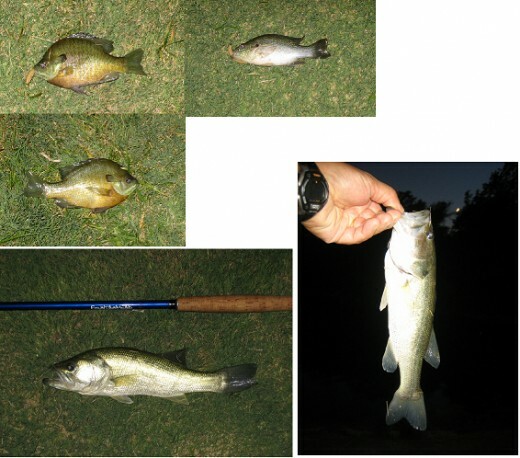 As a preference, we tend to use a Wacky Rig when fishing for Bass and a weightless Texas Rig when fishing for Panfish. Either will work, just be ready to adapt to what is working on a given day! After rigging up, we tread lightly as we approach the banks of our local community lakes and ponds. Then, we start working the Tenko Worm by letting it freefall slowly to the bottom. As the Tenko Worm sinks, we watch it carefully for any movement indicating a fish has taken the lure. Also, we give the rod a slight twitch occasionally to "shake and wiggle" the Tenko Worm much like a live worm does as it falls. 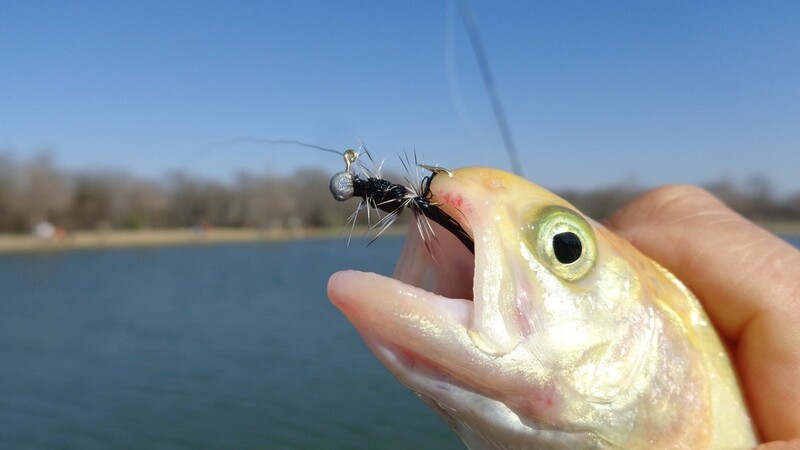 More often than not, this action triggers the bite (at least for the Bass in our area). So,... let's go Tenko Fishing! Check the video in the sidebar and see one variation hand poured worms. The small plastic worms were made by a fishing tackle company in Texas. The video provides a good overview of rigging and using Trout Worms when fishing for Rainbow Trout! This variation can be used with a Tenkara Rod or an Ultralight Spinning Rod and can be used in special regulation areas that require artificial lures that are unscented. For more information about the Trout Worms used in the video, do contact the company directly. Contact information is provided in the video. If you wish to make your own, we suggest using a 3" Berkley PowerBait Worm instead of Silly Putty to create your mold. Else, the directions for making Tenko Worms are the same for making an unscented Trout Worm. Note: Remember hand poured plastic worms tend to be softer (and more livelier) than those offered commercially. Also, there will be a flat side to the worm using the method described above. The flat side does not impede the Trout Worm's action; it will catch fish! Like the "Trout Worms in Action" section that was added and the video. Heard good things from local fishermen who tried this out with good results! Added a Trout Worm section to the article. Check it out when you can! Saw a video about hand poured Trout Worms used for fishing special regulation fishing zones... artificial lures only and cannot have any scent. Someone used a Powerbait Trout Worm to make a mold and pour one. May need to make on this upcoming Trout Stocking Season! Posted a new hub as noted earlier... check it out Senko Fishing - 4" Yamasenko! Starting a new hub - Senko Fishing... specifically focusing on the 4" Yamasenko! Check it out soon! Been catching bass on Senko Worms. Can see them spawning and guarding their beds. May need to pour a few Tenko Worms and work the Tenkara Rod for a more stealthy approach! Starting to see Bass building spawning beds in our area. May be short lived once another cold front arrives. That said, will need to pour a few Tenko Worms sooner than later. Especially like it when the spawning beds are close to shore in easy range of our rod!